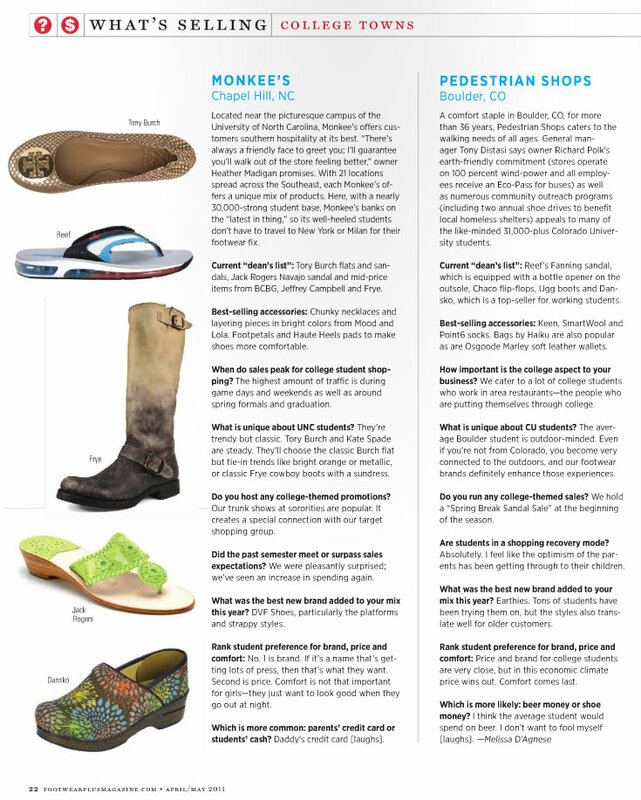 Monkee’s of Chapel Hill owner, Heather Madigan, was interviewed by Footwear Plus Magazine for their April/May 2011 issue. She gave a sneak peek at what was selling in college towns, and what makes the Tarheel girls unique. Best sellers with the younger crowd included Frye, Tory Burch, Jack Rogers, and more! 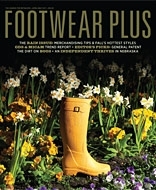 To view the April/May issue of Footwear Plus, click here! If you have a question, comment or suggestion we want to hear from you! Thank you for taking the time to contact us. *Please use this form for customer feedback only. If you are vendor, please fill out wholesale inquiries here.